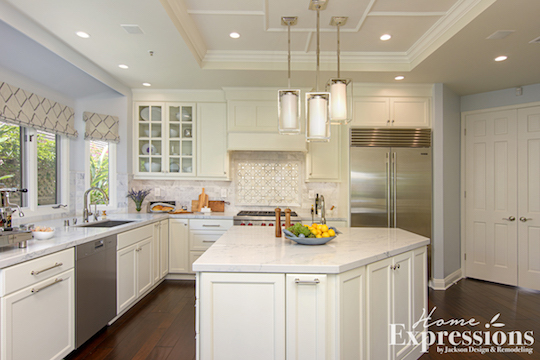 The original layout of this kitchen was inefficient and inconvenient for frequent cooking and baking. 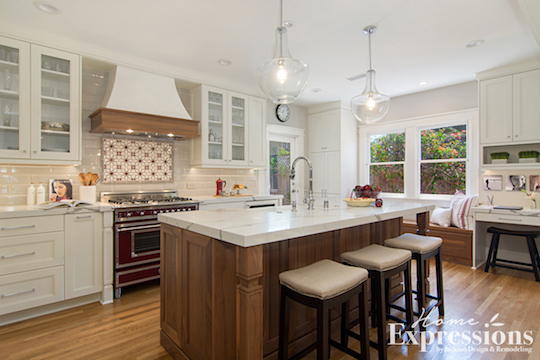 The clients have a son who is a chef and the whole family likes to spend time in the kitchen together. 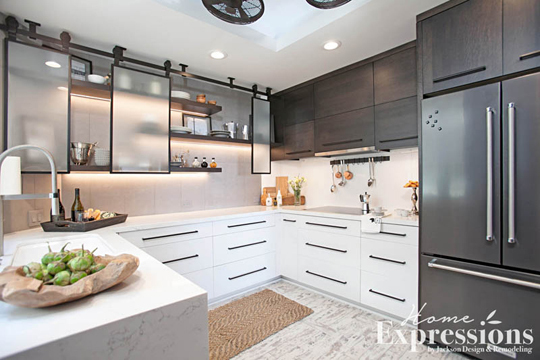 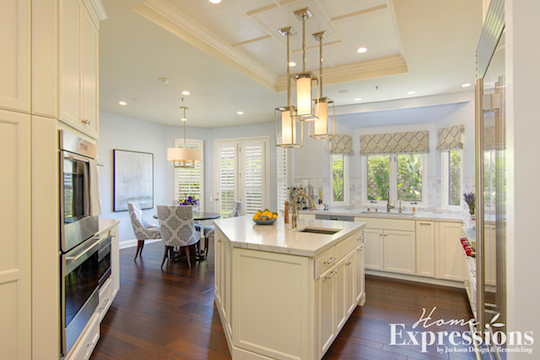 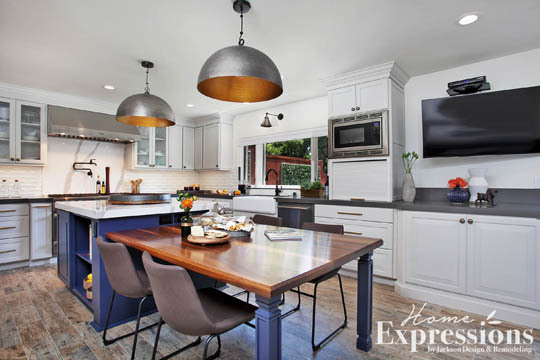 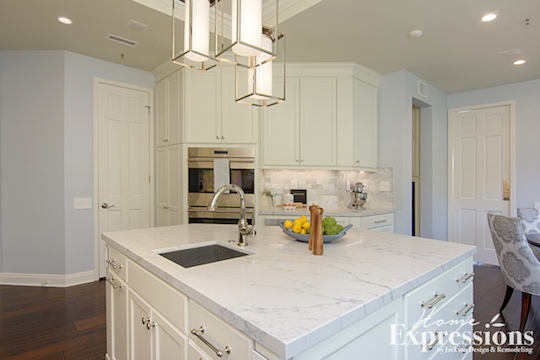 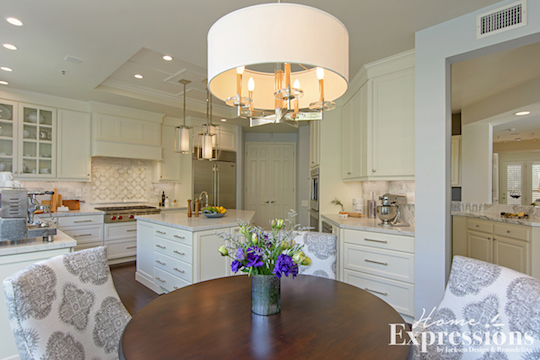 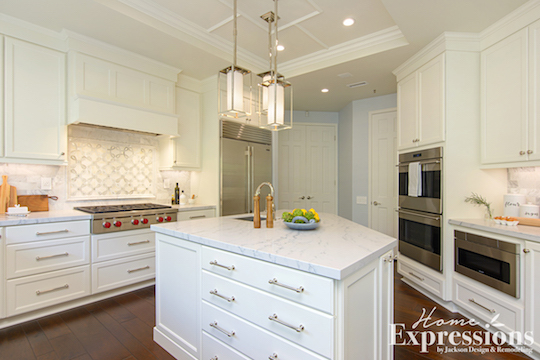 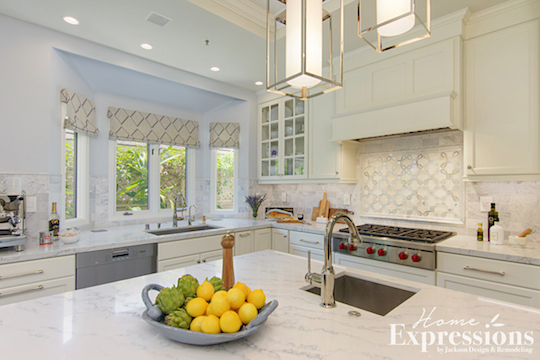 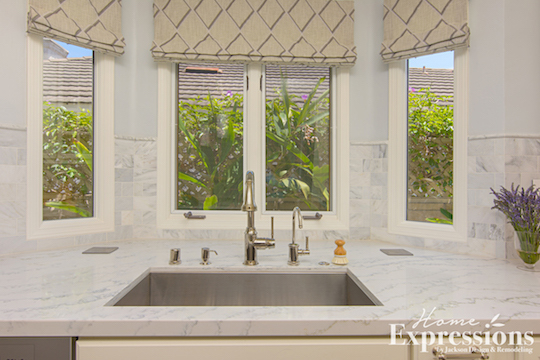 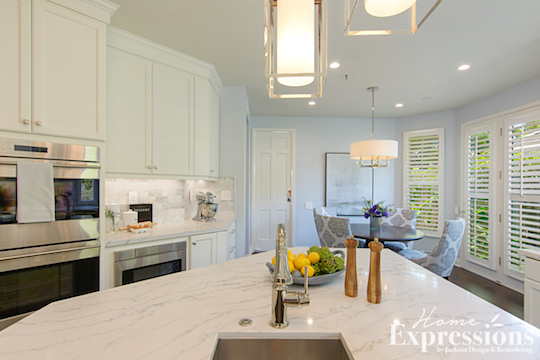 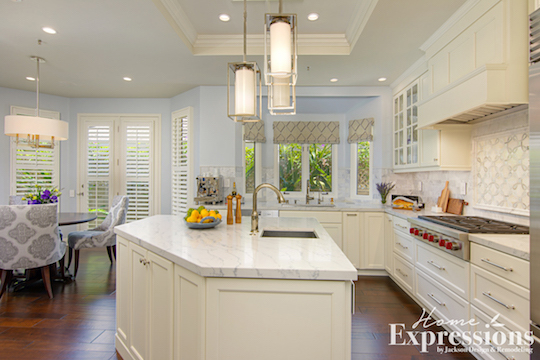 Thoughtful space planning, including moving the sink and cooktop, makes the kitchen feel more spacious and welcoming. 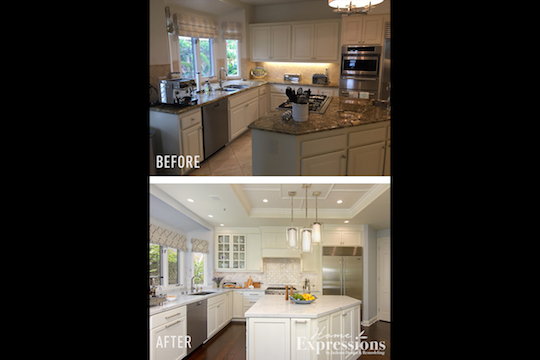 New cabinetry and counter space significantly increased functionality. 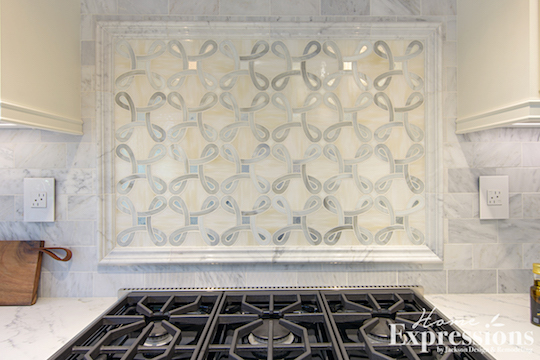 A gorgeous backsplash of antique glass and white glass creates an elegant sheen against the new focal point of the cooktop. 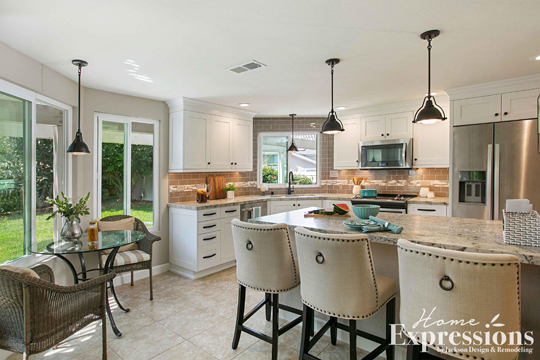 The kitchen is now classic, subtle and elegant in a “soft traditional” style with all the amenities people who love to cook and bake desire.